How can I register to borrow books? Can I use the library as an external/guest user? Our library is also open to users from Hof and the surrounding area, and can be used for the purpose of further education and research. Who can use the 24h-access to library? 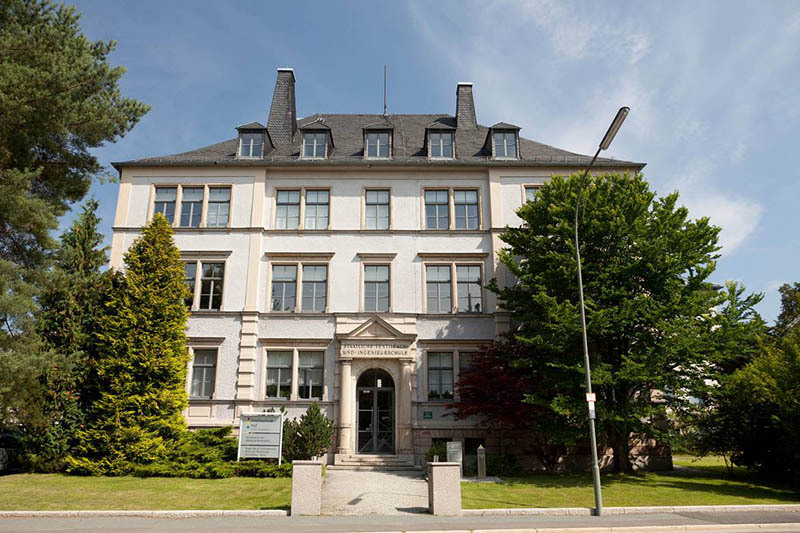 Using the libraries (Hof and Münchberg) outside of normal opening times is only possible for members of the University of Applied Sciences Hof. Do I have to pay to use the library? / Does library use cost anything? Library use is free of charge for all users. External/guest users must pay a deposit of 5€ to be issued a library card. I have lost my Campus or guest card. If you have lost your CampusCard you should notify the student affairs office immediately. To prevent misuse, your library account will be locked. Guest users must notify the information desk in the library of the loss of a guest card. What is my user ID (library number) and where can I find it? Your user ID / library number can be found on your CampusCard or guest card. The last 6 digits of your library number will initially be assigned as the password. When first using the password you will be prompted to change it. Your user account can be accessed in the library catalogue or at the self-service terminal in Hof or Münchberg. Can I also use the library of the University of Applied Sciences for Public Administration and Legal Affairs? You can use this library as a guest, but it isn't possible to check out books, because it is a reference library. How many media can I have for loan ? The loan period is 4 weeks. Books can be renewed twice if there is no reservation by another user. Please note that the loan period is shorter during exam time (only 2 weeks). It is possible to check out books for the entire semester break (only for members of the University of Applied Sciences Hof). How can I renew a loan? Why it is not possible to renew my books? Can I check out or return media outside the opening times? Members of the University of Applied Sciences can use the self-service terminal to check out or return books, or to extend the loan period. Please put returned media in the return box (Hof) or on the book trolley (Münchberg). Guests can put media for return (packaged) outside the opening times in the postbox at the entrance of the university. Can I reserve a borrowed medium? You can make reservations for borrowed media in the library catalogue. You can reserve the desired title on the tab "to the document". You will be notified via e-mail as soon as a reserved item is ready for pick-up. Please note that the media item must be picked up within 5 days after notification. I am a masterstudent or I am writing my final thesis. What will change for me? As soon as you have registered your final thesis (bachelor’s or master’s thesis), you can take advantage of the following extended loan conditions and services. Can someone else check out / pick up media for me? That is possible. Upon submission of a power of attorney (you are also welcome to send this to us by e-mail) another person can check out media or pick up ordered media for you. I need a book from another branch. Can I order it here? Media, which are labeled as "ordered" in the library catalogue, can be ordered to go to your "home branch". You will be notified by us via e-mail as soon as an ordered medium is ready for pick up. Please note that the media item must be picked up within 5 days after notification. Can I return my media by post? What happens if I don’t return a medium on time? If a borrowed book is not returned on time, fee-based reminders will be sent (1. Reminder 7,50 €, 2. Reminder 10 € ….). Please note that your library account remains locked until payment of the fees and the return of the reminded media. Fees can be paid by bank transfer or by CampusCard at the self-service-terminal (only for members of the University of Applied Sciences). I have lost or damaged a borrowed medium. Who should I contact? In cases of lost or damaged books you are obliged to purchase a replacement copy. Please contact the library staff. How and where can I pay outstanding fees? Members of the University of Applied Sciences can pay their fees at the service terminal. External users must pay their fines by bank transfer; other fees must be paid in cash at the information desk. Can I take jackets, bags, food and drinks into the reading room? We ask you not to take food and open drinks into the reading room. Jackets and bags can be left in the checkroom or taken with you. How can I reserve a group study room or a carrel in the library of Hof? Members of the University of Applied Sciences can reserve a group study room online - see on our Websites. Group study rooms can only be reserved 2 times a week, for 4 hours during regular opening hours (two weeks in advance). Carrels are open for all users. It is possible to print, copy or scan? 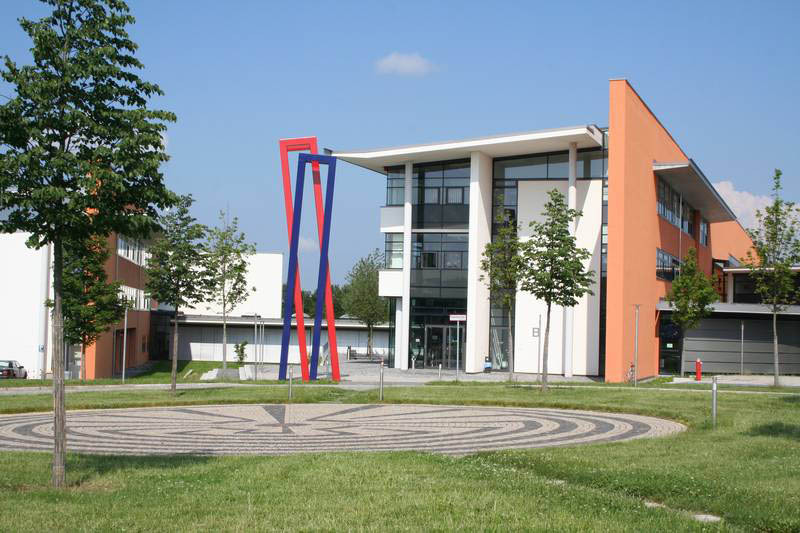 Members of the University of Applied Sciences can print and copy with their CampusCard. External users (in the Hof library) can get a copy card at the information desk and pay the fees in cash after copying. You can use a book scanner in both libraries. You can save your scans for free on a USB-stick. I need a book which is not available in the library. Can I get it through inter-library loan? Media which are not available in the library can be ordered through inter-library loan. How can I request that the library purchase new books? You can sent your request with the bibliographic details to the library. Can I use the digital offers (databases, full text) from outside the university network? University members can use a VPN-connection to gain access from outside the university Network. Where can I see if a medium is in stock? How can I get access to the stock of eBooks? EBooks are searchable in our online-catalogue. Full text deals are available for licensing reasons only within the university network. University members can use a VPN-connection to gain access from outside the university network. What are course reserve collections – where can I find them? The course reserve collection contains selected books from certain lectures of some professors and lecturers. They are for library use only. You can find the course reserve collection in Hof in front of the carrels (under lending classification 300), in Münchberg in the copy-room of the library (under lending classification 3000). Can I see final theses? Final theses can, unfortunately, not be seen in the Hof library. In Münchberg it is possible to inspect older final theses, which are included in the online-catalogue.